Football has played a major role in Damon Reynolds’ life, from the time he was just a small boy. HOULTON, Maine — Football has played a major role in Damon Reynolds’ life, from the time he was just a small boy. His father, Brian, has served as the Houlton varsity football coach for the past six years, so Damon has essentially grown up with football in his blood. He fondly recalls stories his father told him about watching the New England Patriots win Super Bowls back in 2001, 2003 and 2004 with Damon dancing around the living room celebrating the victories. Reynolds said that without football in his life, he probably would not have completed high school. Because of the sport, he focused on his academics, with the goal of being named to the Little Ten Conference All-Academic team. 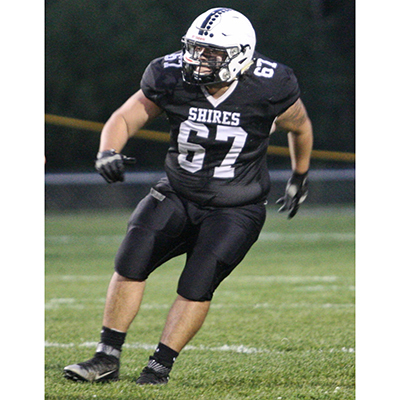 Being selected to the Shrine Bowl was another dream accomplished by the 2018 graduate of Houlton Middle-High School. He will represent the East squad playing as either an offensive or defensive lineman — which are the only positions he has ever played. Despite never having the chance to be a quarterback or running back, Reynolds did score his first and only touchdown during his senior season. 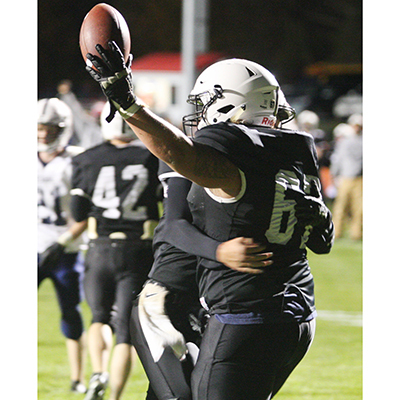 That moment came in a game against Stearns on Sept. 1 when Reynolds recovered a defensive fumble in the endzone. To participate in the game, each player must raise a minimum of $500. Reynolds had much loftier goals and sought to raise $2,000 for the Shriners. However, when all the funds were counted, Reynolds was shocked to see he had collected $2,600. Surpassing his goal was extra special, Reynolds said, because he has a cousin who has benefited from the Shriners hospitals in the past. Last year, the players collectively raised $100,000 for the Shriners hospitals. The Maine Shrine Lobster Bowl Classic, scheduled for Saturday, July 21, will mark the 29th consecutive year with Lobster Bowl XXVIV. This High School Senior All-Star football game is a Kora Shrine sponsored event with 100 percent of the net proceeds from the game benefitting the 22 Shrine Hospitals for Children across the US, Canada, and Mexico. According to the Kora Shriners website, The Maine Shrine Lobster Bowl Game was created to raise money and to help make the public aware of the expert orthopedic and burn care facilities available to children who desperately need this specialized care, regardless of the patient’s’ ability to pay. The game is played at Thornton Academy in Saco, with general admission tickets costing $10. Putting the football pads on again after a nine-month break will be a bit surreal, Reynolds admitted. Players must arrive in Saco on Sunday, July 15, and will spend a week at Thornton Academy, practicing three times a day to get in condition for the game. “It will be a nice little throwback to what we called ‘Hell Week’ during high school football,” he said. 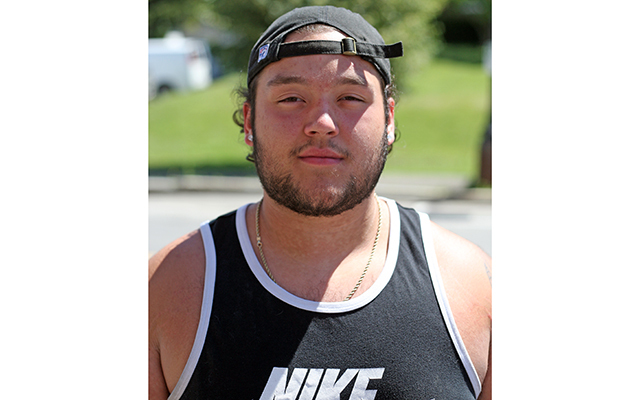 Reynolds is enrolled at Castleton University in Castleton, Vermont, where he plans to study exercise science and hopefully play football for the Spartans, a Division III squad.